Worried. Concerned. Apprehensive. Uneasy. Fearful. Agitated. Nervous. They’re all great words. But, I’ll suggest, as psychological synonyms, they might not get us any closer to what anxiety really feels like. Unlearning Meditation by Jason Siff hinges on an obvious but stunning insight. He says that the first of all problems in meditation is the meeting between the given instructions and the mind-as-it-is. Will the meeting provoke a confrontation, or begin a warm discussion? How will you respond to being told what to do? Will internalizing the voice that tells you what to do increase your sense of internal conflict? Will it build self-esteem, or tear it down? What’s that perfect amount of friction that will stimulate curiosity, but not inadequacy? These are questions that resonate to the quick of our core social conditioning. They trigger reflection into our earliest learning environments with parents or childhood teachers. They bear witness to the complex of voices and impulses that constitute the developmental self. They pierce through the content of our knowledge to excavate the patterns of how we learn. Nobody but the practitioner can answer them. Really grasping Siff’s conundrum has revolutionized the way I facilitate classes in everything from yoga philosophy to restorative yoga to Ayurveda. I now open every course with an assertion that has up till now only been implicit: that as practitioners and teachers we have to pay ever-closer attention to the relationship between techniques of care (the instructions in Siff’s model), and the contexts of care (the presentation of those instructions, and how the immediate response to that presentation will frame the process that follows). The trouble is, the vast majority of focus in modern Euro-American yoga teaching and its adjuncts like Ayurveda is set up to deliver techniques and data. In any given training, I’d say that 90% of the explicit focus will be on transmitting information and practicing methods. The contexts of care may receive that remaining 10% of explicit attention, but they will mostly be conveyed through implicit signals: how does the instructor hold space, answer questions, confess the limits of their knowledge, be available or cloistered during breaks, etc. This lopsided percentage seems inevitable in the context of modern yoga’s extra-curricular, continuing-education pedagogical infrastructure, which is largely transactional by nature. You see the skill set packaged as a product, choose the hours and location that fit your work/family schedule and transit situation, pay your dollars, and get the data. More transactions tender more data, which becomes a metric of progress. Evaluations of how well you’ve processed that data (or changed it to suit your purposes) are left up to the market, which elevates teachers on the whim of popularity and the smell of money. If you don’t get the amount or kind or format of data you think you want or need or signed up for, you can always make a consumer complaint. For years, people have asked me for PDF copies of the slides I use to facilitate classes. I usually demur by saying that I’m never happy enough with them to publish them. But in my heart I’m wondering If I give you these slides, will you check out of this moment? What will they pile up next to on your hard drive? Along with many humanities professors, I’ve considered ditching the slides altogether and returning to the chalkboard, which can erased. Slides emphasize the data-products of education over the process. Yoga and Ayurveda cultures offer way too much data for any one student to fully grasp. But focused selections of data can be useful insofar as they encourage students to learn to reason, intuit, and inquire without undue anxiety. Yoga and Ayurveda are highly interpersonal subjects that have never been taught in this type of transactional manner. The gurukula model, especially for topics like Ayurveda, demanded that learning the techniques took place within the overarching context of care. In many cases, the student lived in the teacher’s home, worked as an assistant, and witnessed first-hand how practice reflected life and vice-versa. Of course this intimacy is likely plagued with power dynamics that would be intolerable to turnkey generations, and in any case it’s virtually impossible to organize in the alienation of late capitalism. The Ashtanga community makes a valiant attempt with its emphasis on daily personal contact and the intentional organization of rhythmic ritual space. But for the most part, Euro-American yoga culture replicates rather than resists the consumer model of education, in which products take precedence over contexts of care. Back to Siff, who applies the analysis to meditation techniques. We could apply it to asana as well. But I’ll turn it only Ayurveda for a moment. What are its easily-transacted consumer products? Self-assessment tools. Herbs, oils, daily routines, and exercise plans that coordinate with self-assessments. Mantras. Cooking rituals. Cookbooks. And food lists. Lots and lots of food lists! I’m not denigrating the data at all. It comes to the world through a mostly-oral culture through which Indians have preserved the daily rituals of millennia. Its insights into the flow of time and the micro-macro conjunction of body and world are no less potent for being commodified. But Siff’s challenge is this: how do we encounter this data? What is our immediate response to it? How does it make us feel? In my time as an instructor, I’ve seen a modest share of what I would call empowered responses to Ayurvedic learning. I’d describe them as open but skeptical, curious and pragmatic. The student takes a little data at a time, asks realistic questions about its applicability to everyday life, and slowly begins to form a new and flexible perspective on biorhythm, appropriate effort, dietary sanity, technology exposure, and sleep hygiene. They look for resources immediately available to them. They begin from the premise that they’re basically okay. Warts and all, their bodies are generally self-caring and getting on with it, but could use some help in deconditioning from stress. They manage their behavioural changes in small steps, savouring and integrating each reward as it comes, with no grand goal of farting rainbows. Obviously the anxious response to data and instruction doesn’t help anybody. It’s likely to provoke old patterns of disempowered learning remembered from family or sports coaches or music teachers, or those health-fad gurus with crazed eyes who insist your life will be vastly improved if you’d only eat more avocadoes grown thousands of miles from where you live. It also allows the practitioner or teacher to magnify the stress of consumerism. Most will do this unwittingly through the seductive power of countertransference. But it’s no secret that there are teachers and therapists who consciously manipulate feelings of inadequacy. There’s another type of disempowered learning-response, although it’s tricky to see, because it looks like enthusiasm. I call it Sari Ayurveda (or “I’m really sorry I’m not Indian Ayurveda”). The new non-Indian Ayurveda student expresses its most exuberant form by showing up to the class potluck wearing a sari, chanting mantras over rice pudding sprinkled with rose petals. I like saris well enough, and I love rice pudding and mantras, but a manic enthusiasm for cultural difference is usually more about fantasizing about a different life than integrating the life one actually has. If Ayurveda is about integrating with your environment, it will hardly do to play tourist in your hometown. It might be good to remember that Ayurveda and Greek medicine share root understandings of wellness, and that in Europe, Greek medicine localized itself to every language and herbology it encountered. Four hundred years ago, most medicine was Greco-Ayurvedic in flavour, theorized in humours and doshas, and adapted to local resource and custom. The existential question in the age of globalization is: What are my local resources and customs? I feel this is something to not only contemplate but work on through simple things like home gardening. Data and techniques can’t entirely be separated from the contexts of care, because they inspire faith, and faith informs care. Here’s where we can add another flavour to this dyad, and speak about the relationship between “active ingredients” and “placebo”. Are there active ingredients of a yoga practice? Of Ayurveda? Some will say breath, some will say mindfulness, some will say adherence to certain ethical principles, some will say spirals or energy or grounded femurs, some will say triphala and the neti pot, some will say regularity and dedication, some will say devotion to a guru. Some cherry-pick the list, and some go whole hog. Everyone is has their formulas and reasons, but no one can define amounts or intensities. There’s a general consensus that yoga works through certain active ingredients, but we don’t know how to measure them, or what they do precisely, and for whom. They cannot be isolated and tested in any way that would satisfy the evidence standards of even undergrad science. This is because they are intrinsically blended with the placebo effect. Placebo drives pharmacologists to distraction. It must be humiliating to work for years on a drug that gets marketed on the basis of beating a sugar pill in 5% of test subjects. 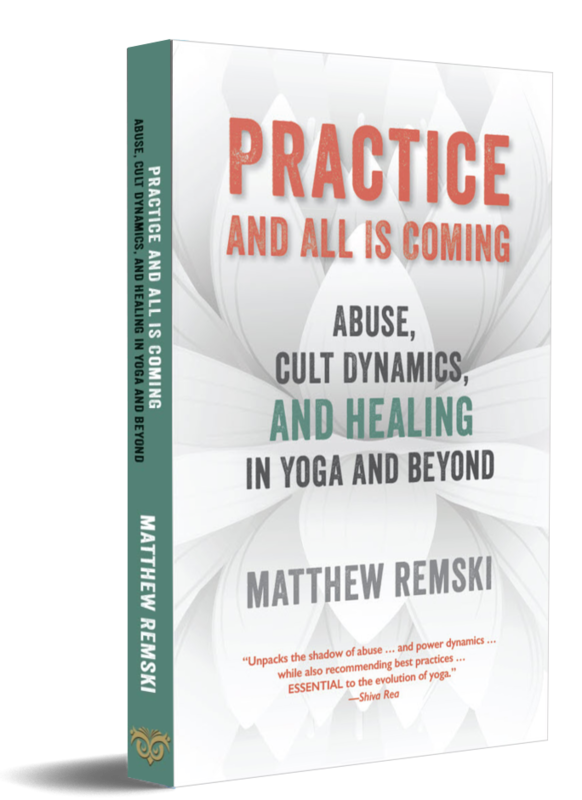 But whether they know it or not, yogis and Ayur-people are dealing with placebo all the time, simply by virtue of the fact that they cannot say for sure what the active ingredient of their processes actually are. Perhaps some face the same disillusionment as the pharmacologists if they realize that painstaking years of exacting asana cues prove only marginally more effective in stress relief and self-inquiry than rolling around on the floor with bolsters. The placebo carries the wide-open, negative definition of improvement not directly attributable to a given intervention. It’s thought to involve everything from spontaneous improvement to stress reduction to the shared expectation of the doctor and client that the treatment will work to the client’s faith in the doctor or drug. These sound an awful lot like the factors of a care-giving relationship. In my work with Ayurveda clients it often seems that the active ingredients of the recipes or herbs traditionally said to be helpful are matched if not outweighed in their impact by the time and consideration it takes to learn about them, prepare them, and try out their new tastes. Let’s say a client makes a stew for themselves that has all the right ingredients in it to feel nourishing in just the proper Ayurvedic way. How much more nourishing will it actually feel if the client is also cooking for themselves for the first time in three years? Did that pancha karma treatment really do what the advert said, or could the fact that you spent a week by the beach not working have something to do with feeling better? My work as a consultant, yoga teacher, and yoga educator is complicated by the fact that I can never really know what’s working. But it does seem that outcomes improve if I pay as much if not more attention to the contexts of care as I do to the data. The primary context is empowerment. Proper diet and herbs may well help with a person’s chronic IBS. But so can really listening to their story. Therapists have to recognize that the bright and unexpected sensations of attunement and validation and the permission for self-care may be interrupting that bowel discomfort as much as that soup or kitcheri monodiet is. It’s poignant that drug trials administer placebos in the form of sugar pills. In Ayurveda, the sugar pill can’t be entirely inert, because it’s sweet. Madhu is the Sanskrit word for sweet, probably referring originally to honey. It’s cognate with the Greek methu (wine), and comes into Celtic as the name of Maeve (“she who intoxicates”), and into English as the honey-wine known as mead. The context of care might have no measurable effect, but it helps when it’s sweet. The sweetness of care allows for the strange ferment of matter and mind. It relieves the anxiety of stressing over asanas and lineages and sequences and instructions and herbs, or anything else that increases the distance or tension between who you are and who you want to be. so is that of vāta, pitta, and kapha in the body. While Ayurveda and contemporary science share a common empirical root in the systematic observation of natural patterns, Ayurveda no longer belongs to the discipline of “science” as it’s commonly understood today. It is now perhaps more properly understood as an interpersonal and intersubjective art form, ideal for any therapy and counseling that seeks to bridge categories of body and mind. Claiming that it does more than this makes Ayurveda vulnerable to the charge of pseudoscience. The popular and now global practice of Ayurvedic constitutional typology (prakṛti) is particularly vulnerable to pseudoscientific claims, cognitive fallacies, essentialism, unchecked transference and countertransference, and blindness to how bodies are assigned meanings through social construction. These flaws are often amplified or excused by romantic Orientalism. If they can first uncover and then reach beneath these flaws, modern Ayurvedic practitioners may be able to access layers of awareness rooted in the intimacy of their mirror neurology — a kind of “hardwired empathy.” Their task, if it is possible, would be to isolate this “first sense” of how another person feels themselves in the world towards therapeutic ends, before it is distorted by the sweep of cultural ideology, whether global-capitalist or antique-Orientalist. If it resists cultural ideology, the art of constitution can utilize the poetry of bodily states to initiate empowering dialogue about how different subjects experience the world organically, emotionally, and socially. In this way, a truly dynamic theory of “constitution” might take shape and be of benefit to a wide spectrum of healing disciplines. The most empirically honest and psychologically effective use of typology leaves the subject unlabeled and undetermined, and therefore able to construct for themselves a rich dialogue with their evolving body-mind patterning. Alter, Joseph S.. Yoga in modern India: the body between science and philosophy. Princeton, N.J.: Princeton University Press, 2004. Print. Arikha, Noga. Passions and tempers: a history of the humours. New York, NY: Ecco, 2007. Print. Atreya. Perfect balance: ayurvedic nutrition for mind, body, and soul. New York: Avery, 2001. Print. Chatwin, Bruce. The songlines. New York: Viking, 1987. Print. My Manhattan hostess was totally yoga-rific. She was putting me up in her flat while I was in town for an Ayurveda thing. At 7am I was up and typing away on the couch, and she breezed out of her bedroom in an om-tank, bamboo harems and bunny slippers, hair pleasantly tousled by inversions. She headed straight for the kitchen. I’m a smoothie girl. I love my greens. Wanna join me? Thanks to Julian Marc Walker for his excellent, exhaustive analysis of Chopra’s use of language, and to Rene Tschannen for hosting the Facebook dialogue that stimulated this post. Deepak Chopra gives me an ambivalence migraine.